Islamic Center of Union County Welcome to the official Channel of the Islamic Center of Union County. 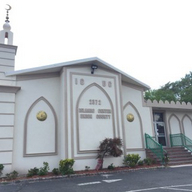 The ICUC will be serving the Muslim community in Union County and its surrounding counties in New Jersey. It is an open gate for the Muslim community to practice their faith and for the non Muslims to have better understanding of the Islam and Muslims.